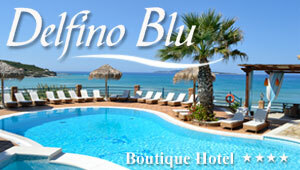 Want to book a tour in Corfu? This is the right place. We suggest the most impressive tours in Corfu or departing from Corfu. Particularly the day cruises to the islands of Paxi and Antipaxos and the seaside town of Parga in the Greek mainland are very nice excursions. The boat trip to Paxi and Antipaxos will give visitors the chance to swim in exotic beaches, visit the Blue Caves of Paxi and walk along the port promenade of lovely villages. The mini cruise to Parga and Paxi will also get you to a wonderful mainland town with island style. On top of Parga is a small Venetian Castle. These two are very interesting Corfu tours. Depending on the location of your accommodation on the island, there are many other Corfu sightseeing tours that go to lovely places or secluded beaches.